The Women Human Rights Defender International Coalition condemns the killing of prominent woman human rights defender Shaimaa Sabry Ahmed El Sabbagh who was shot in downtown Cairo while participating in a peaceful protest to commemorate the martyrs of the January 25 Revolution. 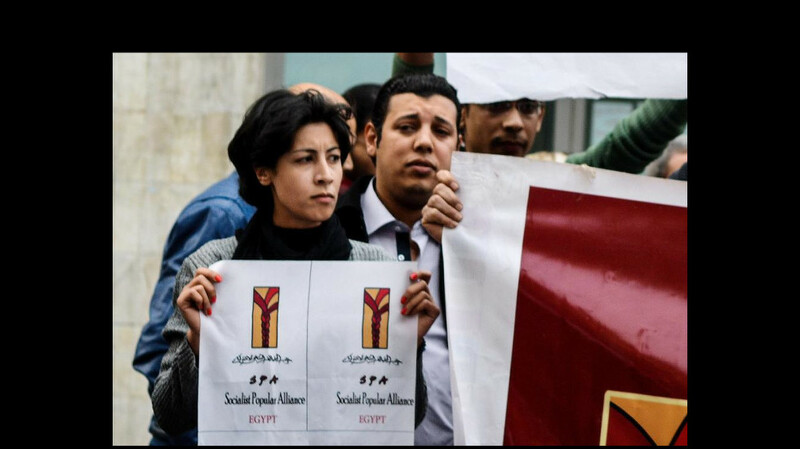 Ms ElSabbagh was a 34 year old human rights defender who worked on labor rights and was the Secretary of the Collective Action at the Socialist Popular Alliance Party in Alexandria. As part of the commemoration on January 24, 2015, between 20 and 40 members of the party were marching peacefully holding flowers and chanting “bread – freedom – social justice” when the Secretary General of the party, Mr Talaat Fahmy approached the security forces to ask permission for the march to pass through Talaat Harb Square to approach Tahrir Square. It is reported that as he walked back to the protest, security forces opened fire and started to disperse the peaceful protestors. Ms El Sabbagh was shot in the back by bird pellet shots. The Forensic Medicine Administration autopsy report issued by the morgue states that the cause of Ms El Sabbagh’s death was intensive bleeding in the chest from laceration of the lungs and heart caused by bird pellet shots, shot in her back at close range. Six members of the Popular Socialist Alliance Party were also arrested, namely Talaat Fahmy, ElSayed Fawzy AbuElEla, Hossam Nasr Khalil, Mohamed Saeed AbdelTawwab, Mostafa Mansour Khalil, and Hassan Mohamed Mahmoud spent the night at Abdeen Police Station, and a police report No. 805 for Misdemeanor Cases Kasr El Nile was made. Charges directed at the protesters include: demonstrating without a permit, attacking security forces, terrorizing citizens and rallying. They were released, but the case is still pending against them. In addition, the Prosecution Office directed charges at the 5 witnesses, including prominent woman human rights defender, Ms. Azza Soliman, who is the founder of the feminist pioneering NGO, Center for Egyptian Women’s Legal Assistance (CEWLA) and who is currently serving on its Board of Trustees. These charges include rallying and participating in a demonstration that jeopardized public security. conduct thorough investigations for all crimes related to the killing of protesters since the uprising on January 25, 2011, through transitional justice mechanisms that would ensure accountability of real perpetrators and redress. ← Good News! Indonesian WHRD Eva Bande released!